I had exactly the same problem and tried suggestions from several earlier messages below without success, until I came across this message string, Panels font issue. The Rebuild_Font_Cache.bat solved the issue, all my dials are showing the frequencies - thx for that suggestion. This worked for me as well but when I restarted my PC again the radios no longer worked. Also, the only thing affected on my system seems to be the Aerosoft Twin Otter. I was able to use the Quartz font in other cases such as Word documents but oddly it does not show up in my Windows\Fonts folder. While it is present in my FSX fonts folder, it still doesn't work in FSX SE. When I try to install it in the Windows Fonts folder, it says that it is already there and that install and replace it. After doing so, it still isn't visible in the Windows fonts folder. Have you tried copying the quartz.ttf file from the sim\fonts folder into the Windows\fonts folder? In there you should also right click it and select "install". Thx for your response. Yes I copied the quartz file from sim\fonts (P3Dv4) to the Windows (W10_64bit)\ fonts, when I right click the file, there is no install button. If I right click the quartz file in the sim\fonts, there is an install button. 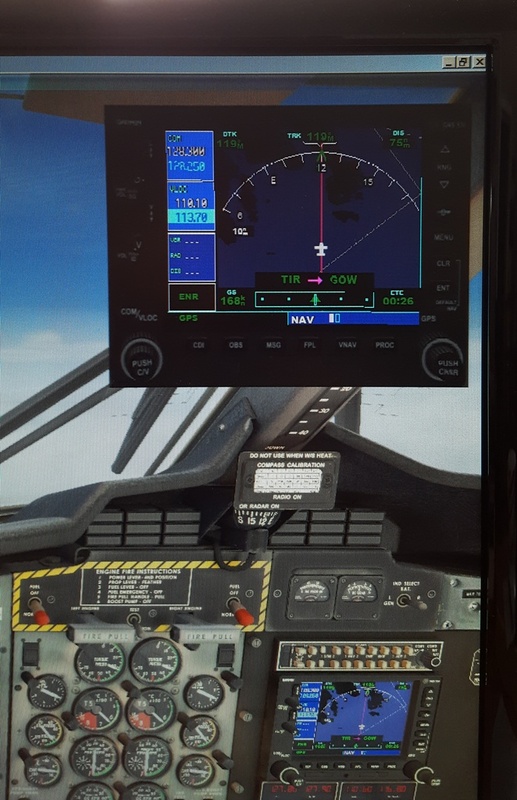 More puzzlement - I just fired up P3Dv4 to fly and all the gauges were lit - I haven't done any adjustments since my last posting. For me if I do an install to the Win/Font folder the installation is done, but the font still isn't visible in the font folder among all the other fonts. This being the case, its still quite odd that the quartz font works otherwise in other programs. Perhaps AS can consider a custom quartz file for the Twin Otter? I'm not sure what this involves but its only a suggestion until a permanent fix is found. My system is fully up to date and I am clueless as to why this is the only product and program affected. After three consecutive boot from "cold & dark" pc, I have a stable solution. It's a solution from official Microsoft Support, but it's temporary and it involves modification of the Windows' registry. I solved the problem with Workaround 1 suggested by Microsoft, and I have not experienced significant delays in PC boot (but I'm on SSD). The registry fix works for me. Thank you. It's so nice to redistribute knowledge. Ad maiora! As an alternative to tampering with registry entries, will Aerosoft consider perhaps a small patch that might utilize a custom font file for the radios? As mentioned, the font in question seems to only be affected when using the Twin Otter. Same issue for me, any fix about for it? Has anyone been able to find a fix for this yet, I forgot to add that I cant hear the localizer beeping either on the radio, I guess maybe as the radio is inactive it wont? Have you read the solution by Microsoft that I posted above? I did, but you have to forgive me as I'm not to good with the technical stuff so I avoided messing with important things. Hopefully a patch/update might come out, but thank you for your reply. But there is very little we can do. Oh that's a shame I love the twotter, but I'll live with it, thanks for the update. Would a temporary custom font file work in the meanwhile? I'm not a developer so I'm not sure how difficult this may be, but it seems like a reasonable alternative until Windows fixes the issue...if ever. I have come into this rather late but is this the same issue as I have reading the screen, I have a 22" monitor but have a real issue trying to read, and see the buttons on the GPS. Is there a way to change the button brightness so they can be distinguished from the panel more easily? I am using Win 7 Pro. 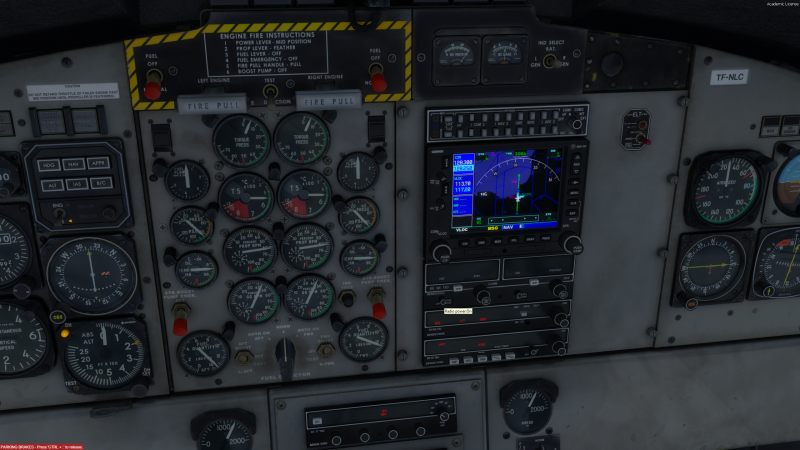 I have the TWIN OTTER Extended installed in FSX and P3D v3. My operation system is WINDOWS 10. When I I bought the aircraft in Mar 2017, I KNOW I did not have this issue. Tom A320 and Mathijs and many others offered solutions but most were just temporary at best. The PROBLEM is in one of the many updates to WINDOWS 10 Microsoft has rolled out over the past 5 months. Reopened P3D v3 and IT WORKED! 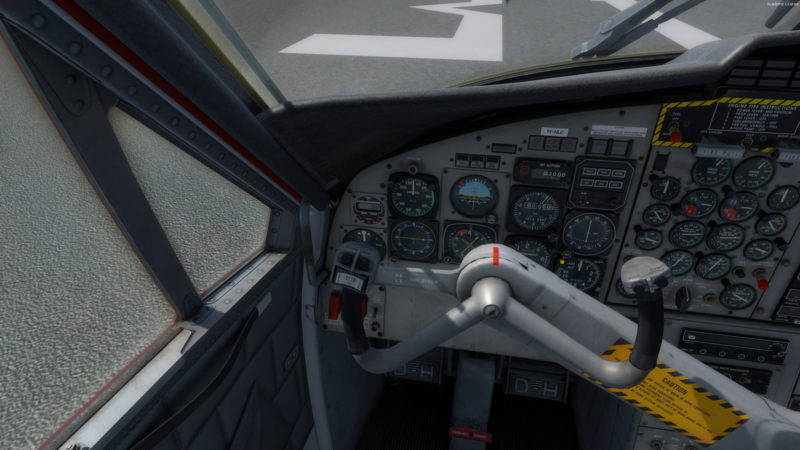 Opened FSX and IT WORKED! Will it be a permanent fix remains to be seen. I had the fonts. Issue as well. However, after installing the fall creators update for windows 10. 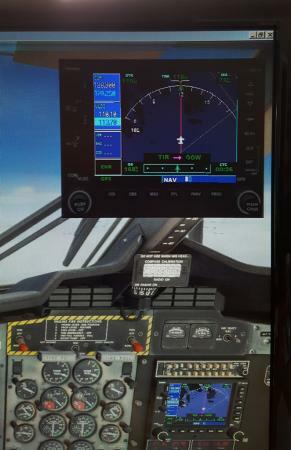 The panel shows after à every sim start and pc reboot. The fall update fixed whatever the creators update screwed up. So if you have the issue update to the fall windows 10 version 1709.im on P3D V4. 1.